When margarita season is in full swing and you want to be prepared at a moment’s notice to serve delicious margaritas, make up a batch of margarita mix and then freeze it. 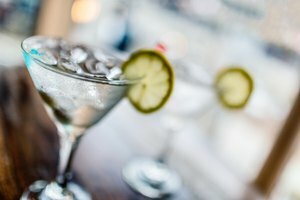 Because the ingredients contain alcohol, they will freeze in the form of slush and you will easily be able to pull the container of margarita mix from the freezer and use it to create delicious margaritas for any occasion. Separate the margarita mix into the one-quart containers for easy defrosting when you want to make margaritas. Fill each container to within two inches of the top. Seal the containers and label them with the date and the contents. Place the containers in the freezer and store the mix indefinitely. 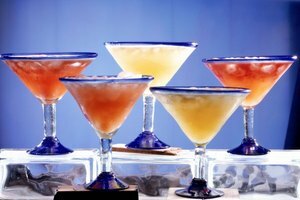 A standard margarita mix recipe includes 4 quarts of tequila, 3 quarts of Cointreau, 3 quarts of lime juice and 1.5 quarts of simple syrup. Mix the ingredients well and freeze the mix for future use. 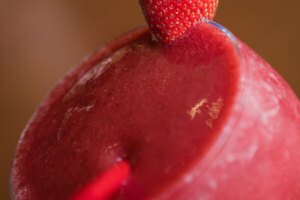 To use the margarita mix directly from the freezer, pour the slushy margarita mix into a blender and add frozen fruit (strawberries or melon). Process the margarita mix and fruit, adding a few ice cubes to make it thicker, if desired. Serve the margaritas immediately.